Successful businesses know that their workplace is vital to protecting its most valuable asset—its workers. 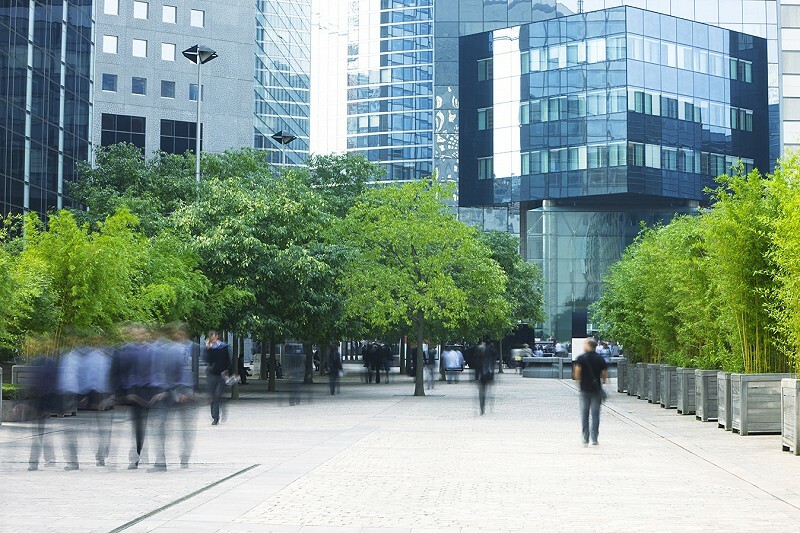 Studies show that sustainable or “green” buildings have measurable financial gains due to better employee health, productivity, and retention, as well as lower operating costs. And, as more businesses benefit from green cleaning, their individual impact grows exponentially to reach a global scale. ServiceMaster Clean Of Etobicoke is dedicated to using environmentally sustainable practices and products throughout our franchise network. During our over 65 years in the commercial cleaning industry, we‘ve been the leaders in developing environmentally sustainable cleaning technologies and methods that are as effective as traditional cleaning. Gentle, yet highly effective, ServiceMaster Clean’s advanced Green For® cleaning products reduce toxins and contaminants absorbed into our ecosystem, and all our products are audited and certified green by the leading environmental organizations such as ECOLOGO. WORKING TOWARD LEED CERTIFICATION? WE CAN HELP. Green cleaning is one of the easiest and fastest ways for building managers to make their facilities healthier for employees, and make a positive contribution to the environment. Plus, it offers the ability to earn LEED® points in the process. ServiceMaster Clean Of Etobicoke can help you to earn up to 8 of a maximum 14 points in the area of Material & Resources and up to 9 of a maximum 19 points in the area of Indoor Environmental Quality through our Healthy Office Cleaning programs. ServiceMaster Clean Of Etobicoke green cleaning is an easy way to get your building and business on the path to saving money, being healthier and getting green-certified. Achieving LEED Certification is perhaps the most recognized way to improve your business image and performance in environmental stewardship. ServiceMaster Clean Of Etobicoke is a valuable partner in your company’s quest to achieve a greener workplace. LEED is a point-based rating system whereby points are earned for building attributes considered environmentally beneficial. The Canadian Green Building Council’s Leadership in Energy and Environmental Design (LEED®) Green Building Rating System™ is the nationally accepted benchmark for the design, construction and operation of high performance green buildings. The program provides a roadmap for measuring and documenting success for every building type, whether you have an existing building (LEED-EB) or a new construction (LEED-NC). LEED® gives building owners and operators the tools they need to have an immediate and measurable impact on their buildings’ performance.